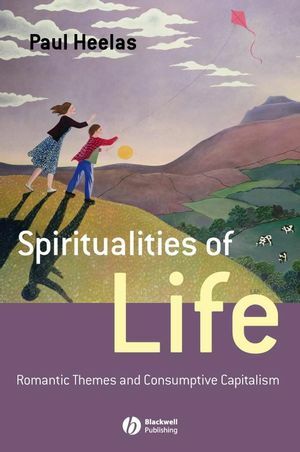 This insightful and provocative journey through spiritual landscapes explores the ways in which spiritualities of life have been experienced and understood in Western society, and argues that today’s myriad forms of holistic spirituality are helping us to find balance in face of the stifling demands of twenty-first century living. Completes a trilogy of books including The Spiritual Revolution (2005, with Linda Woodhead) and The New Age Movement (1996), charting the rise and influence of spirituality today. Paul Heelas is Professor in Religion and Modernity in the Department of Religious Studies at Lancaster University. For some thirty years he has published extensively, including The New Age Movement (Blackwell, 1996) and The Spiritual Revolution (Blackwell, 2005, with Linda Woodhead), and is one of the world’s leading authorities on the study of contemporary spiritualities. PART I: PORTRAYING SPIRITUALITIES OF LIFE. 1 From the Romantics: The Repertoire. PART II: THE ‘CONSUMING GROWTH’ DEBATE. 4 The Language of Consumption and Consumeristic Aspects of Mind-Body-Spiritualities of Life. 5 The Sacred and the Profane: Spiritual Direction or Consumer Preference?. 6 The Matter of Personal Significance: Profaned Superficiality?. 7 Work: Consumptive or Productive?. PART III: TO WORK BEYOND THE CONSUMING SELF. 8 A ‘Fag Ending’ of the Sacred or Fit for the Future?. Epilogue: Birthright Spirituality Beyond the West. Appendix: Evidence Indicative of Inner Life ‘Beliefs’.